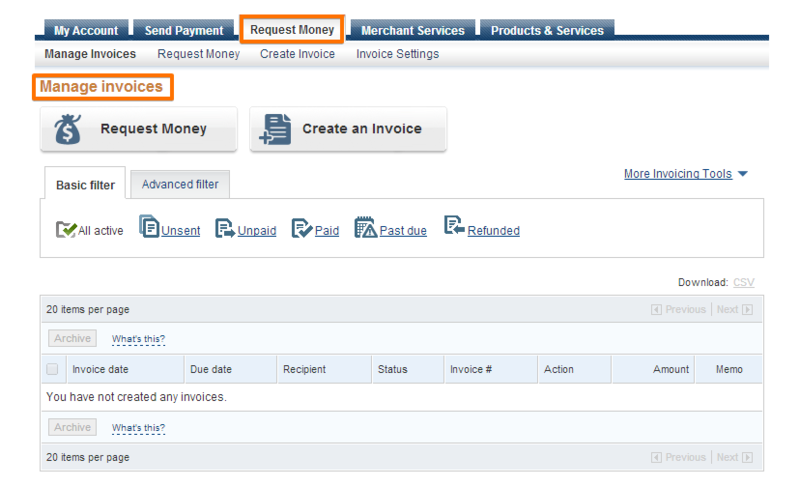 How to get my PayPal invoice? How can i see my last billing? There are only 6 billing in "Billing Page". When you made a payment there's an invoice copy sent to from paypal or you can login to paypal and request an invoice copy. You can also Go to the Request Money tab, then you will have another set of tabs to choose from - choose the first one called "Manage Invoices" .